It's Facebook Faves Friday...the day we get to share all the cool stuff you've missed over the past week. 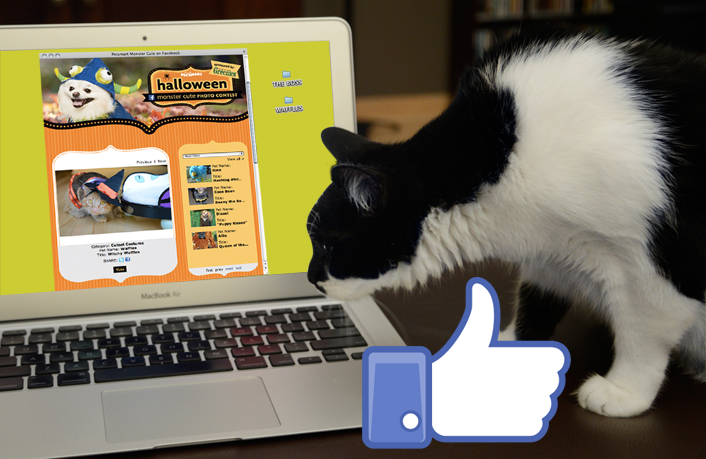 It should come as no surprise that October is a rough month for us cats on Facebook, what with all the ridiculous costumes and hats. Trick or Treat my furry you-know-what. Fortunately for me, Waffles wears the skirts in this family. 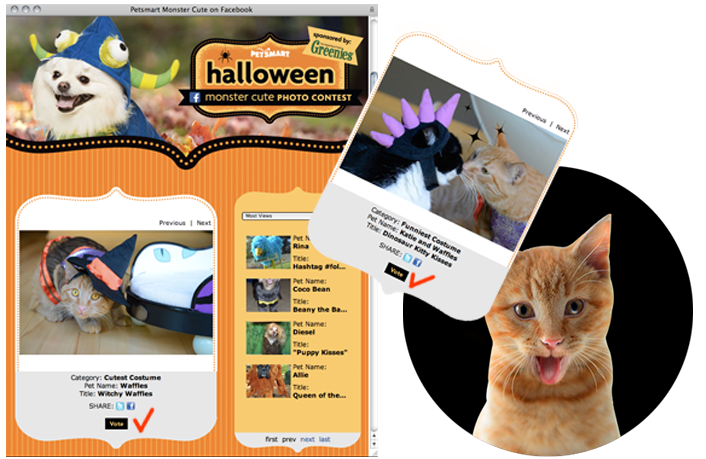 So it was pretty easy to pick out an appropriate entry for PetSmart's Monster Cute Photo Contest. WAFFLES: Hey Boss! You've got an entry too! Look! It's you and your dinosaur hat! And we're KISSING!!! KATIE: That is NOT a kiss. No bodily fluids were exchanged in the making of that photo. Unless of course you count the blood from the aftermath. 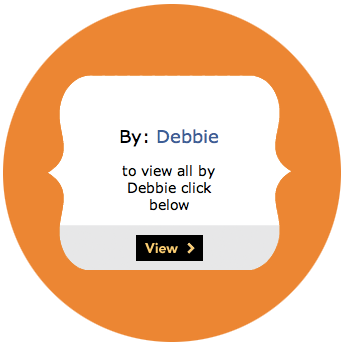 Witchy Waffles and I would really appreciate it if you could click a few votes for us. If you're on Facebook, that is. It's really easy, just click the link, then click the black VOTE box. 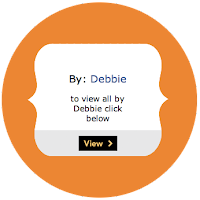 To vote for the humiliating *kiss* photo, once you're on the site, you can click on the VIEW button to see more of Debbie's (that's Glogirly's) entries. You'll see me and that horrible purple-horned hat. Maybe if I won a prize it would take the edge off the whole incident. You can vote for both entries, one is in the cute category and one is in the funny category. Although I find no humor in this. And you can vote everyday, though we suspect you've got much more important stuff to attend to. Off to vote. You two are just the best fun! I missed some of these, so I'm glad they're here! I will send my human off to vote! And I just want to say I'm glad the costumes she had came from PetCo - I've had enough humiliation for the month. You are so photogenic, Waffles!! We love your witch hat! We're voting fur y'all! We missed the nurses pic! Happy Furday! Fabulous posts. We have to say, Katie, that your leather jacket is pawsome! We have voted for Witchy Waffles. We voted and will go vote again!! Good ones! We'll be voting! W2 makes a cute witch. What did you do? I didn't see Pop's name. I guess since he's working, he doesn't have time to get on FB. I'm gonna go vote. I voted for both. Those Facebook posts are cute. Love their costumes. Hope you are feeling better. I missed these on FB! Gotta go and give my thumbs up. The nurses are my favorite. I'll be heading over to vote. I love the last photo of Katie in leather. Your cats are very patient with you! We may be the only purrson without FB, so we are so glad you post these so we can see and enjoy. Hope Glogirl is feeling better?! Being able to do all that, while been ill is amazing - makes me realise just how rubbish my typist is!